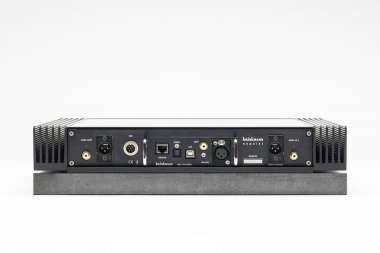 At Munich High End 2016, Brinkmann unveiled Nyquist: the most advanced Streaming Digital-to-Analog Converter ever created. 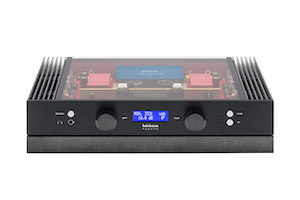 At that time, we explained that our unique, user-replaceable DAC Module would allow easy upgradeability and eliminate obsolescence, making it audio’s first-and only“Investment Quality” digital component. The release of our first Nyquist upgrade fulfills our promise and proves that our “Field-upgradeable” concept works in practice as well as theory. An entirely new design, “Nyquist” was optimized to accommodate the latest digital formats including MQA™ (Master Quality Authenticated) streaming and playback, PCM up to 384 kHz/32 bits (including DXD),as well as DSD64, DSD128 and DSD256. Both the Hardware and Software of Nyquist’s Digital Module are easily user-replaceable, an architecture that assures unprecedented longevity and enables Nyquist to remain on the cutting edge of digital technology. As promised, Nyquist virtually eliminates obsolescence. Proprietary high voltage power supply technology—unique among digital source components—delivers marked improvements in digital circuit performance. In Nyquist Mk II, this high-voltage power supply technology has been implemented more widely. As opposed to only one power regulator in the original Nyquist, 6 of the 12 Mk II regulators benefit from this technology. The Mk II digital module includes a completely updated power supply section, incorporating 12 power regulators compared to the 11 found in our first-generation product. The additional power regulator achieves an even better decoupling of the DAC clock from the rest of the circuit yielding lower jitter, especially with USB and Ethernet playback. The result? Even higher resolution with no loss of the extraordinary musicality that made the original Nyquist so successful. Another breakthrough by the newly expanded Brinkmann Design Team, custom filters in the digital domain further elevate both measured performance and musical realism. In a nod to Brinkmann’s renowned Marconi Line Preamplifier and Edison Phono Preamplifier, Nyquist employs hybrid circuit topology, with NOS Telefunken tubes used in the output stage; in fact, development of Nyquist highlighted areas in which Marconi and Edison’s circuitry could be improved and has led to “Mk II” versions of those legendary products. Because today’s music connoisseurs demand uncompromising convenience and versatility, Nyquist offers outstanding connectivity, including USB, SPDIF, Optical and Ethernet inputs. Balanced, Single-ended and discrete Headphone outputs are all standard. Nyquist offers Roon™ network playback and music management and supports many streaming services. Optimized, pre-selected filters have been carefully tailored for every digital format. A comprehensive remote handset offers control of head phone volume, input selection, mute and phase/invert. Thanks to our obsessive attention to each of these details, Nyquist achieves a level of user-friendliness unprecedented in High End Audio. Given its ease of use, matchless craftsmanship, total upgradeability and, of course, sonic superiority, Nyquist is simply the finest digital component available today…and tomorrow! Owners of the original Nyquist can field-upgrade to Mk II standard by simply exchanging modules. Please inquire. Nyquist Review in "the abso!ute sound"
Nyquist Mk II Review in "Mono & Stereo"
Nyquist Review in "Tone Audio Magazine"
MQA is an award-winning British technology that delivers the sound of the studio. The master MQA file is fully authenticated and is small enough to stream, while also being backward compatible, so you can play MQA music on any device. MQA technology is licensed by labels, music services and hardware manufacturers worldwide. Output voltage maximum 3,5 V eff.